Brown butter can add an extra dimension into your cooking, by adding a nuttier flavour, and it is really simple to do. You will need to watch it the entire time you are cooking the butter as it will go from melting, to brown, to burnt fairly quickly. It is also a good idea to have a basin full of cold water at the ready, so once your butter achieves the correct level of browning you can cool the pan quickly. ~ makes about 1/4 cup (enough for Brown Butter Pumpkin Muffins recipe). 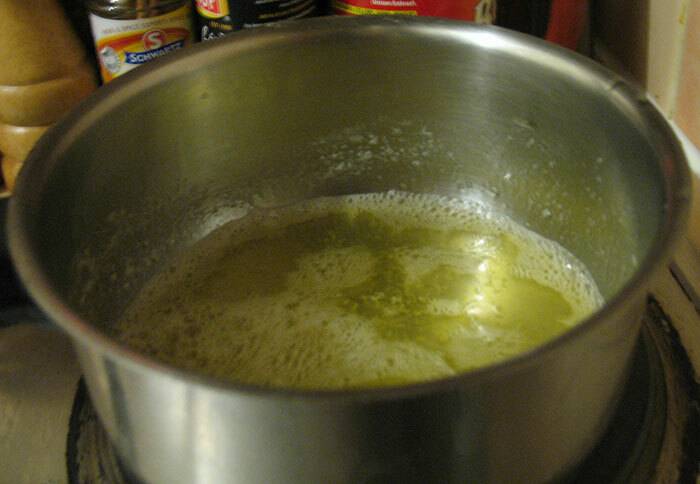 Add around 100 grams of butter into a small frying pan under a medium heat. It should start to bubble, turn it down if it bubbles too much, as you need to be able to see the bottom of the pan. After a couple of minutes or show you should see a brown grain like substance forming. This is the milk solids in the butter browning, and this is what you want. Keep a close eye on it though you don’t want it to go too dark. I got a little scared about it burning, so I think mine could have done with a tad longer. Once you are happy with the colour, take it off the heat, and gently put the bottom of the pan in a basin of water. Be carful to not dunk it too far, you don’t want the water splashing into your butter. 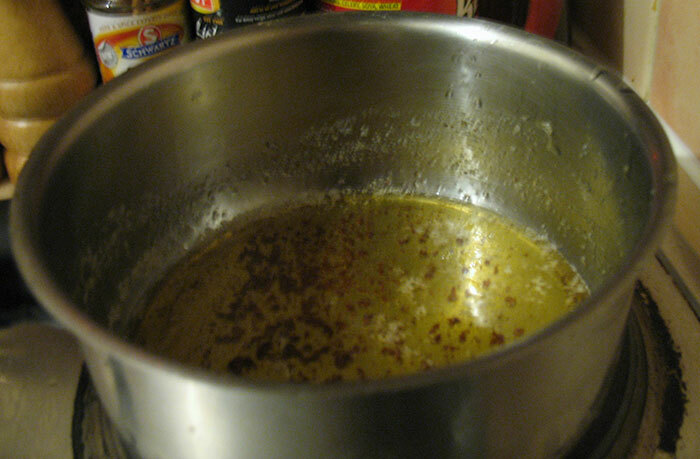 Remove the butter from your pan and add it to your recipe.